The ML Learning Initiative is excited to announce the Learning Fellows for the 2017/18 academic year. This year marks the launch of the LEGO Papert Fellowship program. The LEGO Foundation, a long-time member of the Media Lab, has endowed the program to honor the legacy of educational-technology pioneer Seymour Papert, a founding Media Lab faculty member. Each year, the LEGO Papert Fellowships will fund the work of three graduate students who are working at the intersection of creativity, play, learning, and new technologies. In addition to the LEGO Papert Fellowship, the Learning Innovation Fellowship will continue into its second year, providing funding for six Media Lab graduate students. As one cohort, this group of nine fellows form a community of graduate student researchers at the Media Lab who are developing new technologies to cultivate creative learning in a variety of contexts — from computational tinkering in public libraries to mixed-reality language learning for adults. Our cohort this year comes from six different Media Lab research groups. Joy is a poet of code on a mission to show compassion through computation. As a first-year PhD student in the Center for Civic Media, she founded and leads the Algorithmic Justice League to raise awareness about algorithmic bias and to build tools for inclusive and participatory artificial intelligence. Her research explores the intersection of social impact technology and inclusion with a focus on creating learning experiences that engage diverse participants in shaping the the future of AI. Currently, she is building a Facial Analysis Playground to introduce novices to computer vision and a Data Destiny Tool that enables exploration of training data used for machine learning. In support of this work, Joy was selected as a Grand Prize winner of a national contest inspired by the acclaimed film Hidden Figures. In Zambia as a Fulbright Fellow, Joy explored empowering citizens with skills to create their own technology through the Zamrize Project. 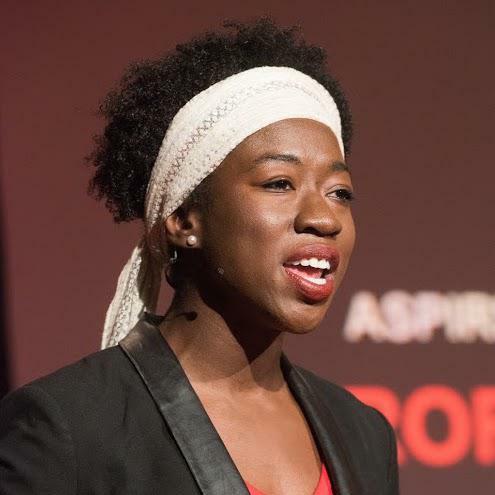 In the United Kingdom as a Rhodes Scholar, she piloted a Service Year Initiative to launch Code4Rights which supports youth in creating meaningful technology for their communities in partnership with local organizations.Through Filmmakers Collaborative, Joy produces media content that highlights the learning experiences of diverse creators of technology. Her short documentary, The Coded Gaze: Unmasking Algorithmic Bias, debuted at the Museum of Fine Arts Boston and her pilot of the Code4Rights: Journey To Code training series debuted at the Vatican. She holds a master's degree in Learning and Technology from Oxford University and a bachelor's degree in Computer Science from the Georgia Institute of Technology. Inspired by master storytellers and enabled by online resources, I am learning screenwriting from Shonda Rhimes and how to score films from Hans Zimmer. Shruti is a second-year master's student in the Lifelong Kindergarten research group. Her work focuses on the design of new tools to engage children in personally meaningful reflective experiences. She is developing a web-based application called Scratch Memories that celebrates a Scratcher’s journey by dynamically visualizing their key moments, creations, and connections in the online community. Shruti is very interested in exploring how reflecting on their own learning and participation trajectories can encourage kids to experiment further and explore new ideas and possibilities. As a member of the Scratch Team, Shruti has played a key role in developing new learning resources for the Scratch community—including tutorials, activity cards, and educator guides—designed to support newcomers in creating projects on a wide variety of themes. Currently, she is helping in planning the design and structure for the online version of the Learning Creative Learning course led by Mitchel Resnick who heads the Lifelong Kindergarten group. I am currently learning how to reflect on why I’m creating a tool for reflection! Shruti grew up in India, where she completed her undergraduate studies in computer science engineering and thereafter pursued an MBA in human resource management. Most recently, before coming to the Media Lab, she worked as the head of product development at a startup, creating and designing several educational board games and card games for young children. I am currently learning how to design and customize a visual programming environment where young children and older adults could program together with robots. Stefania is a second-year master's student in the Personal Robots research group. She concentrates her research on how children interact with, and make sense of, the growing collection of “smart” interconnected playthings in the world around them. She is exploring how children, as they play with these new devices, develop new ways of thinking about intelligence, emotion, and social interaction. 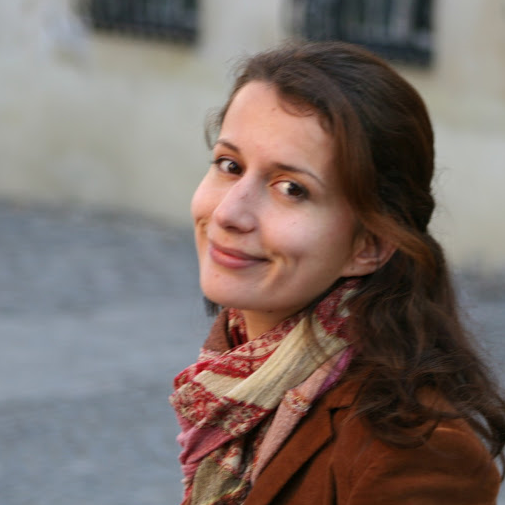 Based on these studies, Stefania hopes to design new tools and activities to introduce children to machine learning and artificial intelligence in a playful way. She is especially interested in embodied learning and play, providing children with opportunities to develop and program their own body extensions and augmentations. Stefania grew up in Romania, and graduated from an international Erasmus Mundus Master of Media Engineering for Education (France, Spain, Portugal). Before joining the Media Lab, she co-founded HacKIDemia (mobile labs for Maker Education in 40 countries), Afrimakers (communities of Maker projects in 10 African countries), and MakerCamp (global camps for learning how to build and run Makerspaces). Kreg is a second-year master's student in the Lifelong Kindergarten research group. 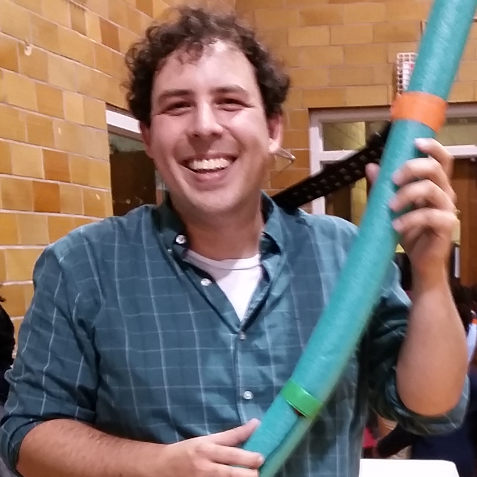 His work centers on the development of new tools and activities to promote physical tinkering—that is, new ways to engage children in creative explorations through physical construction. As a member of the Scratch Team, Kreg has developed many Scratch extensions, enabling children to use Scratch for controlling hardware devices, accessing online data, and connecting with web services. Through Scratch extensions, Kreg hopes to provide children with new opportunities to think about, and interact with, the world around them. Kreg grew up in Maine, in the northeastern corner of the United States. Before joining the Media Lab, he worked for several years with public elementary schools, helping teachers integrate new technologies in support of creative learning activities. He is particularly passionate about using free and open-source software projects to provide access to learners from all social and economic backgrounds. This week, I'm learning how to use quaternions to represent object orientations in three-dimensional space. Anneli is a second-year PhD student in the Social Machines group working on the Playful Words team to develop child­-driven and machine­-guided technologies that empower children to share their voices with others, while teaching important literacy skills and fostering a love of reading and writing. Anneli’s particular interest is in storytelling and how it can motivate young learners and families by providing self­-expressive, socially collaborative, and playful literacy learning opportunities. To explore this, Anneli works on a project called StoryBlocks, which aims to bring a new level of interactivity into children’s educational media and stories while promoting empathy, social-emotional development, and literacy development through storytelling. 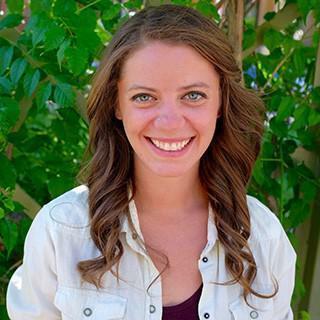 Anneli received her BA in psychology, focusing on neuroscience, from San Diego State University, and her master’s in child development, focusing on Literacy Learning, from Tufts University. Her work in literacy learning has been motivated by her own experiences with dyslexia. Because of this, she wants to understand how the brain learns to read and design tools to translate that research into practice with high reach and scale for all families. She has had a lot of experience in education, working as a therapist, preschool teacher, literacy instructor, tutor, researcher, online literacy curriculum creator, and designer. Kristy is a second-year doctoral student in the Affective Computing research group. She researches how motivation, reinforcement, and physiological regulation affect learning. To explore these interactions, she builds devices that enable play-based learning, especially for children with complex neurodevelopmental differences. Paired with wearable physiological sensors, these devices capture and quantify the process of learning. I’m currently learning how an imbalance in neural reward circuitry may contribute to the physiological dysregulation that is frequently observed in autism. 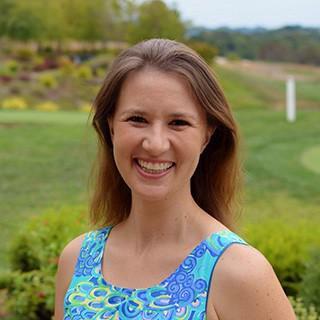 Kristy grew up in a small town in Indiana and earned her BS and MS in physics, researching topics in astronomy, plasma physics, and superfluids. After her son was born with a rare genetic disorder involving global developmental delays and autism, she began researching neurodevelopmental disorders in an effort to build technology to better assist and understand neurodiverse individuals. Prior to joining the Media Lab, Kristy was a scientific editor, adjunct faculty in astronomy, and a full-time mom. I love learning everything from developmental economics to cognitive neuroscience to space science. Mina is a second-year master's student in the Fluid Interfaces research group. Her research focuses on possibilities for using “mixed reality” (integrating virtual objects with the physical environment) to enable playful learning of math and physics. She is working on a project called MathLand, inspired by Seymour Papert’s conception of a world where children learn mathematical ideas in a natural way as part of their everyday activities. In Mina’s mixed-reality MathLand project, people can redefine, relive, and reinvent their reality by visualizing and playing with the mathematics underlying their world. Mathland is a world where one can play catch with a ball—and, at the same time, visualize its trajectory, velocity, and forces. Mina was born in Karachi, Pakistan. 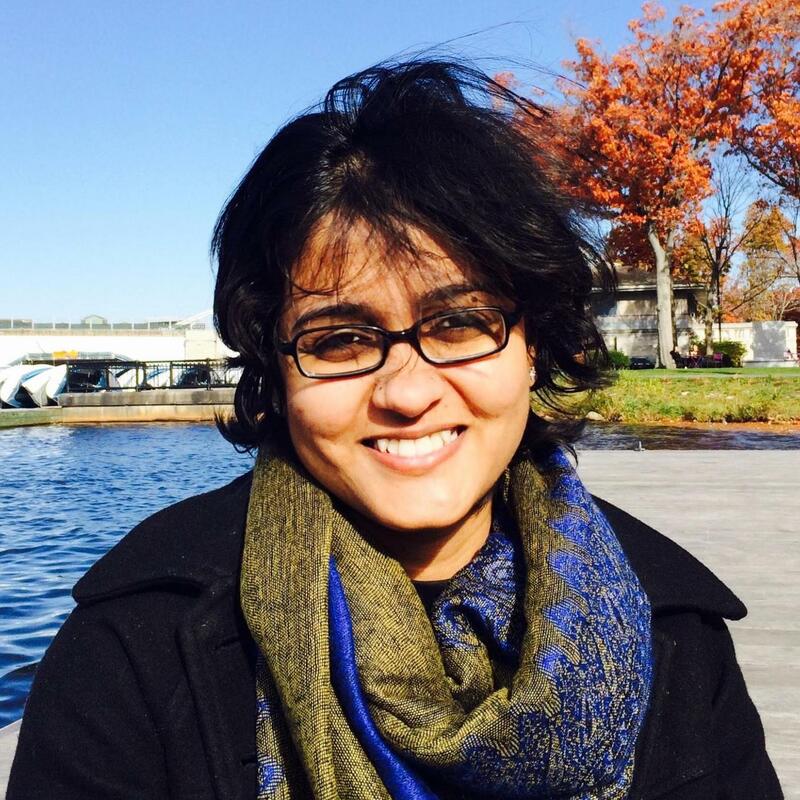 She came to the US for her undergraduate studies at Mount Holyoke College, where she triple-majored in physics, math, and computer science. 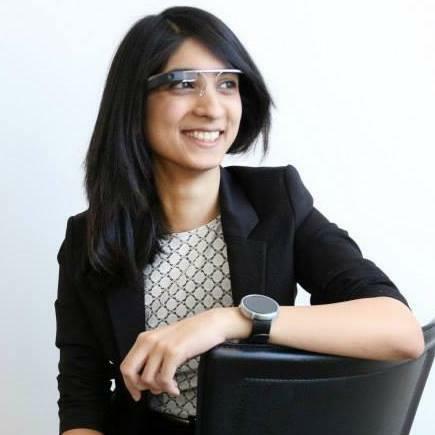 After her undergraduate degree, Mina worked on contextual intelligence and personalization use cases in Google's Project Aura (Google Glass and Beyond) before she came to the Media Lab. Christian is in his second year as a master’s student in the Fluid Interfaces group. His research leverages Augmented and Virtual Reality to explore novel ways to learn language. During his first year at the Media Lab, Christian developed a platform on Microsoft’s Hololens, which enables users to recognize and label the objects around them in the target language they are trying to learn. The system also embeds the user’s environment with contextually relevant information to enable serendipitous learning. His current research aims to exploit the kinesthetic affordances of Virtual Reality, examining how language is grounded in our bodies to subliminally change the way we learn. Christian is from Puerto Rico, where he finished his undergraduate studies in Computer Engineering with a focus on software development. His passion for language learning stems from his bilingual upbringing. 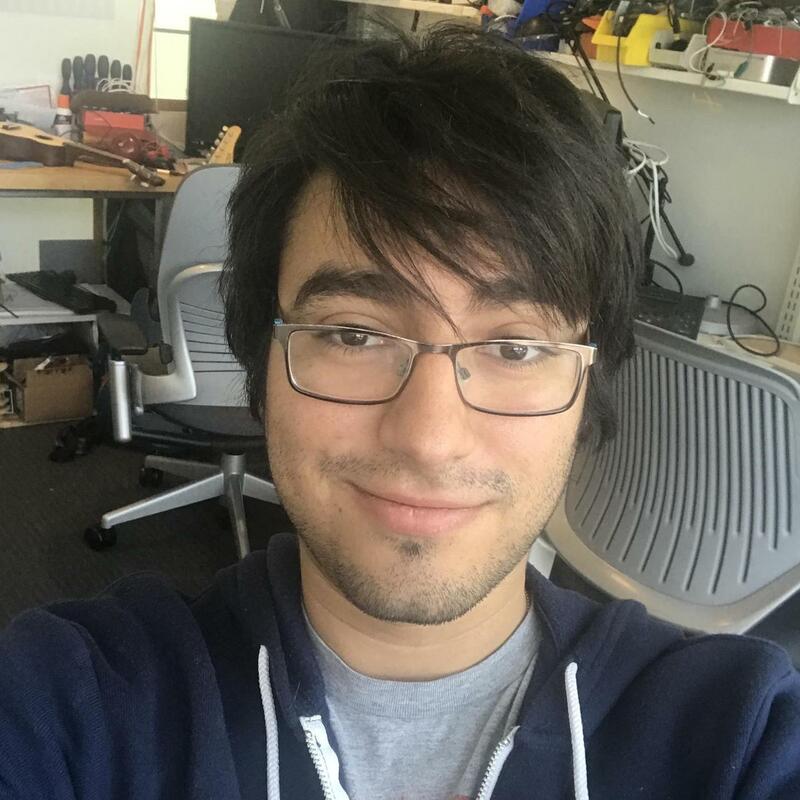 Prior to coming to the Media Lab, he worked with the Human Language Group at MIT Lincoln Laboratories, developing mobile speaker recognition and information extraction systems. Jacqueline M. Kory Westlund is a PhD student in the Personal Robots Group under Cynthia Breazeal. Jacqueline earned her Master of Media Arts and Sciences in 2014. She develops social robotic learning companions to support young children’s language learning and social and emotional development. She asks questions about how to create more effective robotic learning companions, how children understand social robots through time, and the ethics of using robots in children’s lives. As part of this work, she has developed creative and playful activities around storytelling, in which the robots engage preschool children as peers, so that both tell stories to each other. Her dissertation uses these storytelling activities as a context for exploring children's long-term interactions and relationships with robots. Jacqueline's work is motivated by broader questions about the nature of personal identity, how we understand and perceive others, and the importance of empathy, relationships, and social-emotional skills in learning. Prior to coming to the MIT Media Lab, Jacqueline spent a year researching human emotion and learning with Sidney D’Mello at the University of Notre Dame. 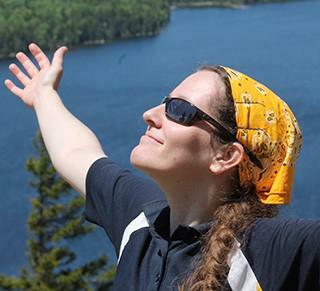 She worked at NASA for two summers, developing autonomous vehicles and laser space robots. Jacqueline holds a BA in cognitive science from Vassar College. I’m currently learning natural language processing tools in Python for analyzing children's stories. We would like to thank the following organizations for their ongoing support and collaboration. LEGO Foundation—The LEGO Foundation aims to build a future where learning through play empowers children to become creative, engaged, lifelong learners. The foundation’s work is about challenging the status quo by redefining play and reimagining learning. The foundation’s focus is on children aged 0–12, with a special emphasis on early childhood where children develop most rapidly, both physically and mentally. Joyce Foundation—The Joyce Foundation works with grantee partners to develop and advance policy reforms that promise to improve quality of life, promote community vitality, and strive for a fair society. Its grant-making is driven by a belief that communities are stronger when they share benefits broadly among their people. New Profit—New Profit is a national nonprofit venture philanthropy fund. Its mission is to break down the barriers that stand between people and opportunity in the United States. New Profit works with visionary entrepreneurs, philanthropists, and other partners to upend the status quo and transform the way the US educates its children, propels people towards social and financial stability, and creates healthy communities. Siegel Family Endowment — Siegel Family Endowment (SFE) seeks to help, understand, and shape learning in order to prepare the world for rapid digital transformation. SFE collaborates with partners who use technology to create meaningful, research-based learning experiences. Bezos Family Foundation—The Bezos Family Foundation supports rigorous, inspired learning environments for young people, from birth through high school, to put their education into action. Through investments in research, public awareness and programs, the foundation works to elevate the field of education and improve life outcomes for all children. The Media Lab Learning Initiative brings the collective creativity of the Media Lab to bear on the future of learning. We do this in two ways: 1) We’re building a robust community of learning research at the Media Lab — through the Learning Fellowship program and community, a seminar series, and Media Lab courses, and 2) We’re sharing this work with the world — through strategic deployment partnerships, online courses and communities, and specialized workshops. If you’d like to stay up-to-date on the work and projects of the Learning Innovation Fellows and the ML Learning Initiative, join our mailing list or visit our website.